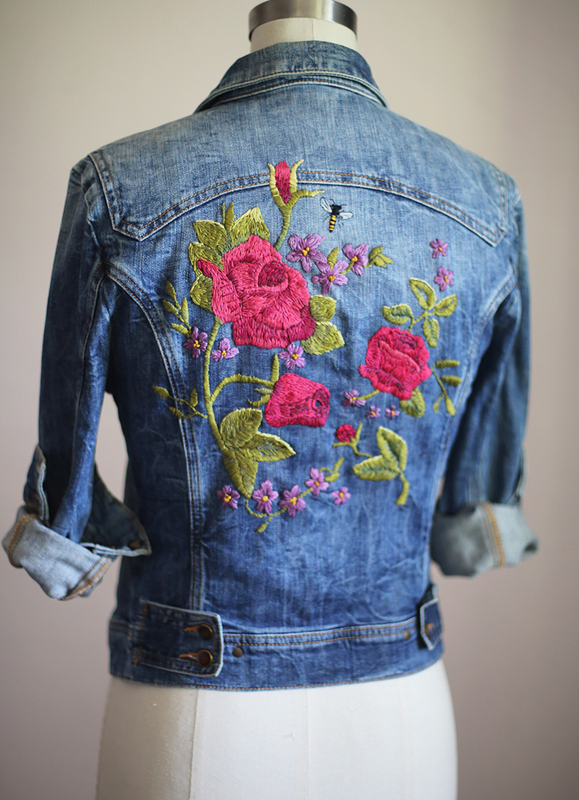 WhatIWore: Today I’m excited to share a recent little DIY project I took on - an embroidered jacket! I got the idea from a combination of a recent shopping trip and a PInterest binge - especially pieces from recent Gucci garden collection. I like the thicker look of handworked embroidery, so I decided to take on the challenge myself. I also like have a little lap project in the evenings or when I’m re-watching on of Felix’s kid shows for the bajillionith time. I initially used an iron transfer pattern (like Aunt Martha’s brand) for the left side, but it didn’t take as well as I would have hoped. I did get a rough idea of how to lay out the design, so then I used an ink pen to free hand the rest based on the printed design. On the right, I traced the medium sized rose from another iron on onto tissue paper, pinned it directly to the jacket and stitched an outline through the paper. Once transferred with that method, I removed the paper. I actually liked this method better! If you chose to do it this way, you could save yourself the cost of the iron on and find something you like online. 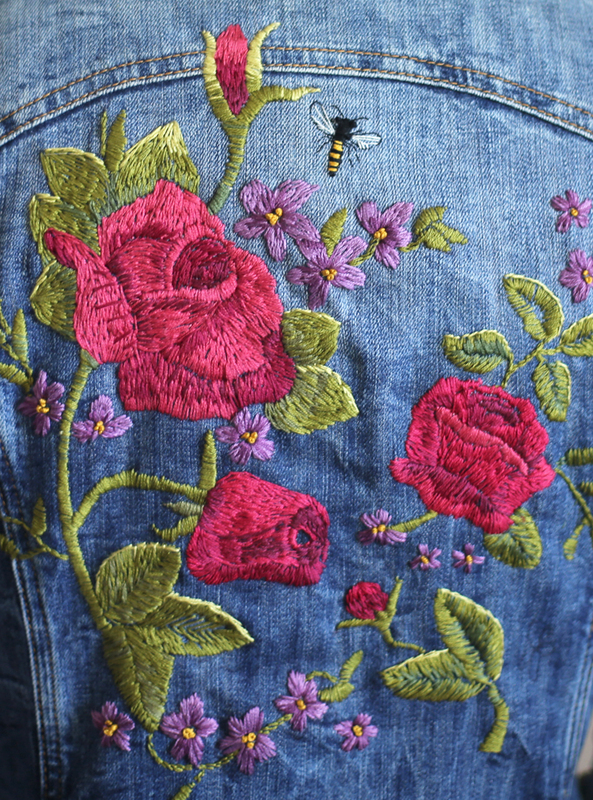 Tattoo art would make for gorgeous embroidery patterns! 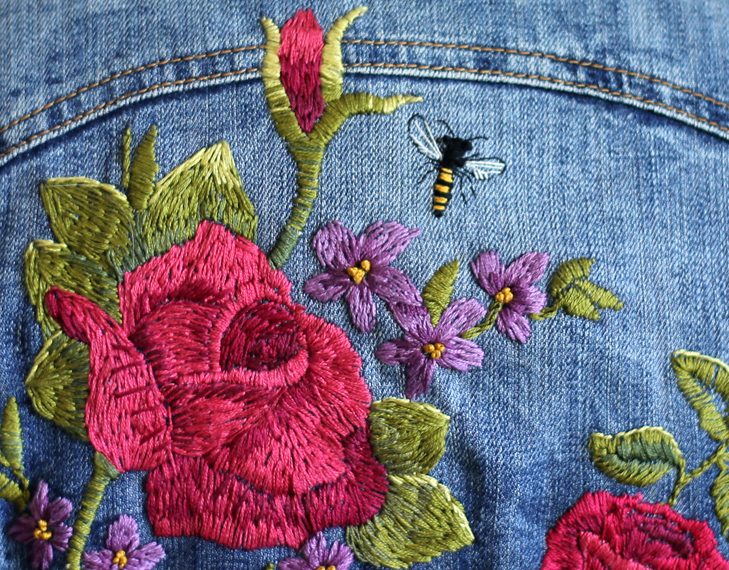 The rest of the piece - like the small purple flowers, honey bee and some leaves - were either drawn directly onto the jacket or stitched freestyle. 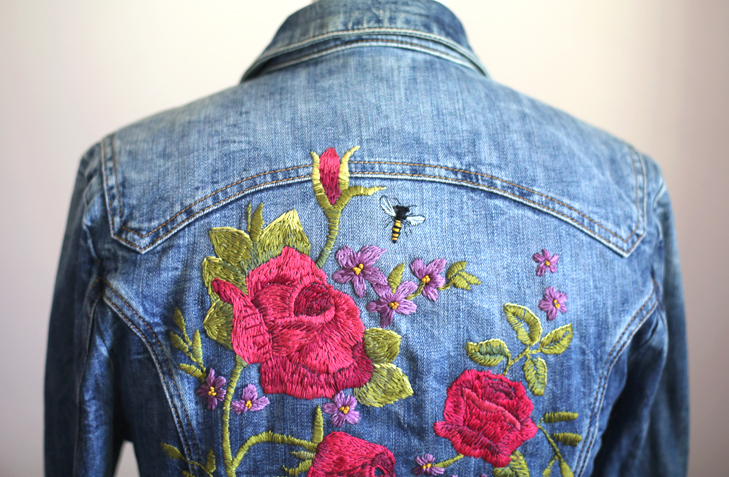 All in all, I’d estimate I put about 30 hours into this jacket and am very happy with the results. 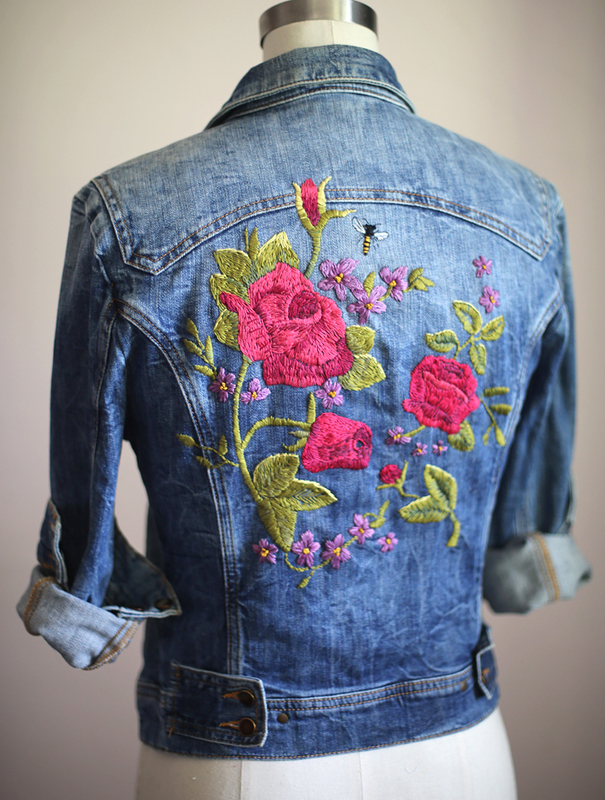 If you have any experience with embroidery work, you might try something similar! Because I did this one for pleasure, I didn’t stop to take photos along the way for a DIY, but I can tell you that Google and YouTube are great resources when you need help figuring out a stitch (the yellow French knots took me a while to master). Another tip - embroidery floss is pretty inexpensive - about 40 to 50 cents per skein, and I wish I’d bought double the pinks and greens (or at least written down the exact color numbers) before I started. Matching under the fluorescent lights at the fabric store meant I had to make a couple trips to get extra the exact shades. Like all posts on What I Wore, if you like this, please share it! La Vie en Rose | It’s a Girl!